In Windows 8, Microsoft has replaced its previous virtualization solution, Windows Virtual PC, with a more powerful, scalable, and capable solution called Hyper-V.Hyper-V client is present only in the Windows 8 Pro or Enterprise version. To Install Hyper-V version 3 role in Windows 8 PC, Your system should meet a set of requirements which comprise of the System Type and some core processor requirements. But for Checking Second Level Address Translation (SLAT) technology on CPU we would need to use a tool called as coreinfo. 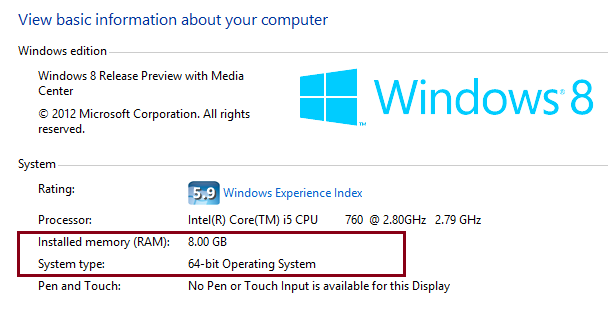 SLAT feature is optional for Windows Server 2012, but necessary for installing Hyper-V on Windows 8 machines. It is a feature which provides better performance by reducing the CPU time and improving the memory usage in virtual environments. But now we have powershell to our rescue to check SLAT. Below i have illustrated an example with a very simple function on how we can use CIM cmdlet to extract this information.